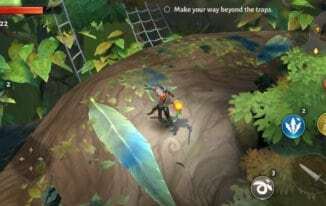 Multiplayer iPhone games have evolved to something great in the recent years, as you know it’s now possible for iPhone owners to connect with friends or strangers and play games on the go. While iPhone games may not quite be comparable with console titles; the gap is indeed getting smaller. That is why the fun of playing one of the best multiplayer iPhone games is never less than enjoying you favorite console title. iPhone games can be very addicting especially due to easy accessibility and portability. 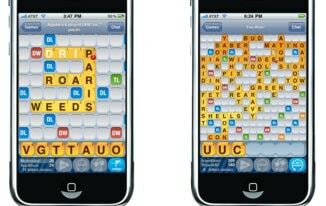 But what are some of the best multiplayer games for iPhone? 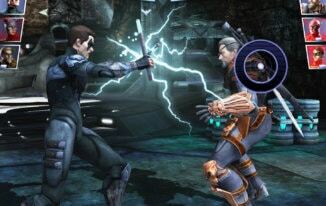 If you are wondering what multiplayer iPhone games you can enjoy playing with friends, then you are at the right place. I have listed top 20 best multiplayer iPhone games to play with friends in this guide to provide you with hours worth of fun, most of which won’t cost you a single penny. I have picked out games from a wide variety of genres too. No matter what kind of games you’re into, you’ll easily be able to find something on this list to play with your friends. The great thing is you can play these games with your friend’s side by side or play with them from across the world. So let’s find out what are the best multiplayer iPhone games you can play with your friends. 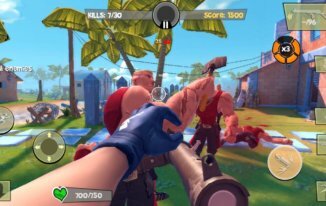 Blitz Brigade is an action packed free-to-play shooter game on the iPhone that takes the blood and gore away from your traditional FPS and replaces it with quirky character classes and all sorts of wacky weapons. It offers multiplayer fun across a variety of different game modes, all of which you can complete within 15 minutes. Whether you have friends to play with or you’re going at it alone, Blitz Brigade is perfect fun no matter how much gameplay time you’ve got on your hands. Hearthstone: Heroes of Warcraft is a trading card game that gets a lot of love and attention from the developers. 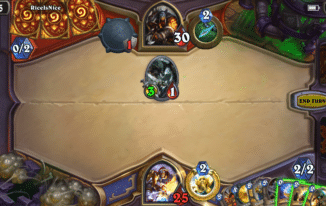 The aim in Hearthstone: Heroes of Warcraft is to collect virtual trading cards, build a deck and take out other players by using the cards within your deck. If you’ve ever played a trading card game before, you’ll love Hearthstone: Heroes of Warcraft. If you’ve never played a trading card game before, I’d highly recommend it. It’s a casual game and is easy to get into, but the higher level of play takes a lot of strategies, planning, and critical thinking. Oh, did I mention it’s completely free multiplayer iPhone game? The Asphalt video game series focuses on fast-paced, high-adrenaline racing. Asphalt Xtreme takes things to the next level by introducing boosters, supercars, off-road buggies and a variety of incredible jumps and shortcuts. 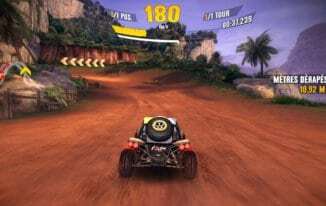 Out of all of the free racing games available on iPhone, Asphalt Xtreme is almost guaranteed to get your heart pumping fast. You can also jump into races with your friends in a heartbeat, making it an excellent multiplayer racing game for iPhine users. 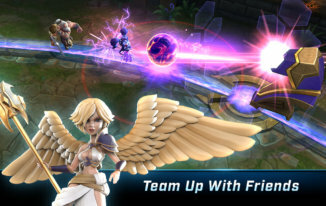 Call of Champions is a fast paced, intense mobile online battle arena. The multiplayer iPhone game is free and is available for both iOS and Android. Ever wondered what a mobile online battle arena is? Call of Champions will take you through the ropes quickly, but essentially you’re able to choose between dozens of different champions and afterward you must fight with your team to defeat another team of players. There are different objectives to compete for and a very complex combat system. If you know what League of Legends is, you’ll love this. 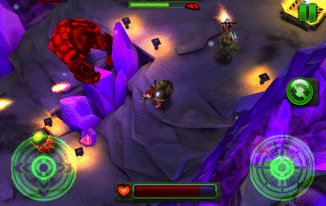 Dungeon Hunter 5 is one of the best multiplayer action RPG games currently available for iPhone. You’ll start off as a warrior with weak weapons and armor, but as you progress through the game, you’ll be able to unlock rare equipment and go against stronger enemies. 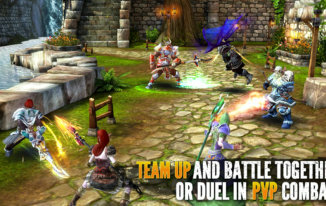 Gameplay in Dungeon Hunter 5 gets even more exciting as soon as you play it with a group of friends. 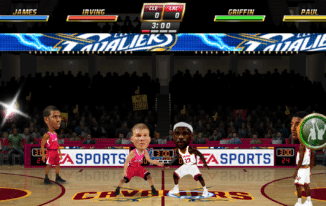 NBA Jam is the absolute best multiplayer basketball game available for the iPhone. While it may not be able to rival the NBA games currently available on Xbox One and PS4, it certainly offers the next best thing. Just like with the console versions of NBA, you can go up against the computer or play against your friend in NBA Jam. Order & Chaos 2: Redemption is a massively multiplayer online game that’s very similar to World of Warcraft. You can pick a character and level him up, play through quests and fight through dungeons to get a chance to unlock high-end gear. There are hundreds of hours worth of gameplay in Order & Chaos 2: Redemption and a lot of the fun come into play once you’ve built a guild of your best friends to play along with. 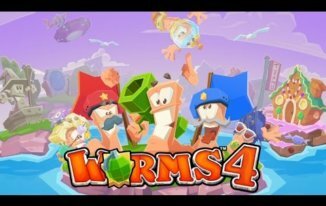 Worms game has long been one of the best multiplayer party games, and Worms 4 for the iPhone carries on those sentiments perfectly. With Worms 4 you’re able to load your team of worms up with an arsenal of weaponry. You must then take it in turns to fire your weapons at your friend’s worms. The player with the last worm remaining wins! Injustice: Gods Among Us expertly blends the fighting game experience with trading cards. In Injustice, you can collect cards to play as your favorite DC superheroes and then battle it out against your friends or other players online. Battles often last just a couple of minutes, but you’ll often find yourself coming back for more and more. As you get better, fights become much more intense. It is yet another one of the best multiplayer iPhone games. In Agar.io, eat players smaller than you to gain size. If a player larger than you touches you, you’ll be eaten and you’ll have to start again! This is a great mini-game to play with friends. Slither.io is an adaptation of Agar.io – in this game you are a snake and can gain size if a snake hits into your tail. Once again, multiplayer functionality is available and playing with friends is very enjoyable. Thus, making it one of the best multiplayer iPhone games. When you want to challenge your friends to something a little more intellectual, Words with Friends comes in handy. In Words with Friends, you must try to build the biggest words possible with the limited letters you are handed. Words with Friends plays out a little like Scrabble, but it’s faster paced, and you can play with friends via the internet as well. It is one of the best puzzle games for iPhone. For number 8 we have another multiplayer FPS game – this one is called Modern Combat 4: Zero Hour and offers a much more realistic FPS experience. 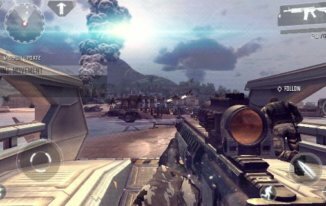 If you’re a fan of Call of Duty or even the early Battlefield games, you may appreciate the gameplay available in Modern Combat 4. 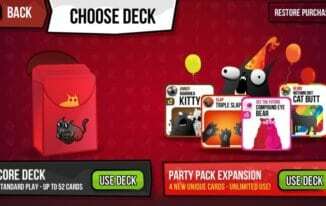 Exploding Kittens is an entertaining card game developed with funds from one of the most successful Kickstarter campaigns in the world. It’s hard to explain what Exploding Kittens is, but imagine Cards Against Humanity with less crudeness and more insanity. Like Call of Champions, Vainglory is a multiplayer free-to-play mobile online battle arena game. The difference with Vainglory, however, is that this particular game is filled to the brim with excellence. The graphics are stunning, and the gameplay is smooth. 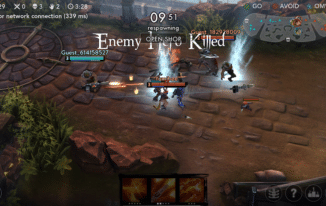 Moreover, the developers have worked hard to make Vainglory play out like a real competitive MOBA game. Gun Bros is a dual stick shooter game that challenges players to destroy as many enemies as possible. One thumb controls your movement and the other controls the trajectory of your never-ending gunfire. Gun Bros is now multiplayer and work great as a co-op arcade game. 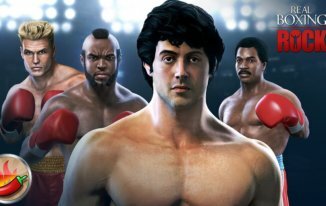 Real Boxing 2 ROCKY is one of the best boxing games on the mobile platforms. As well as an excellent single player career mode, there’s lots of room for fun; action packed multiplayer iPhone games. As well as being able to create your boxing champion, you can pick from some of the biggest stars in boxing history and battle it out against players online. Whether you want to get into the ring with a stranger or a friend is completely up to you. Spaceteam is one of the most engaging multiplayer iPhone games you’ll be able to get your hands on. It requires 2-8 players to be in the same room as each other. In Spaceteam, players are all given different roles to keep a spaceship safely flying through space. 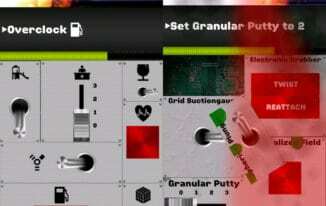 Spaceteam’s top gameplay elements include teamwork, confusion, shouting, beveled nano buzzers and auxiliary technoprobes. It sounds like nonsense now, but give it a go, and you’ll see what I’m talking about! Super Stickman Golf 2 turns a challenging sport into a fun arcade game that can be picked up within minutes. This particular game comes with two different multiplayer modes that you can challenge your friends in. It is still considered to be one of the best multiplayer iPhone gaming experiences available. 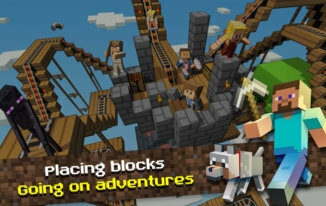 Minecraft for the iPhone is as accessible and feature packed as any of the other versions. In Minecraft, you’re thrown into the world where you must gather materials to survive. You can collect blocks, build a house and create tools to gather more resources. The fun comes into play when you work together with your friends to build something epic within the open world. Don’t forget it’s a multiplayer game for iPhone. This wraps up my look at top 20 of the best iPhone multiplayer games. This list includes games from a variety of different genres. All of the games on this list can be played with your friends, but make sure to check out the fun singleplayer modes available, too! Hope you enjoyed this list of best multiplayer iPhone games. Did I miss any? Let me know in the comments below. What are the Best Android Tower Defense Games [Free and Paid]? Previous: Music Paradise Pro Downloader: Is It Best MP3 Music Downloader for Android? Next: What’s My Subnet? – How to Find Subnet Mask of Your Computer?